A user may request to unsubscribe from a newsletter or another group, but still want to remain a registered user on the website. 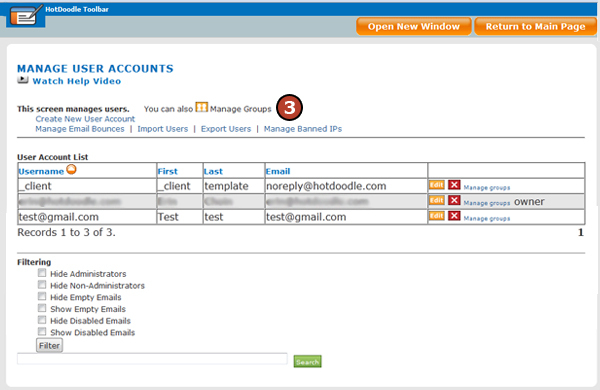 HotDoodle gives both the user and the website owner the ability to remove the user from the group. 4. 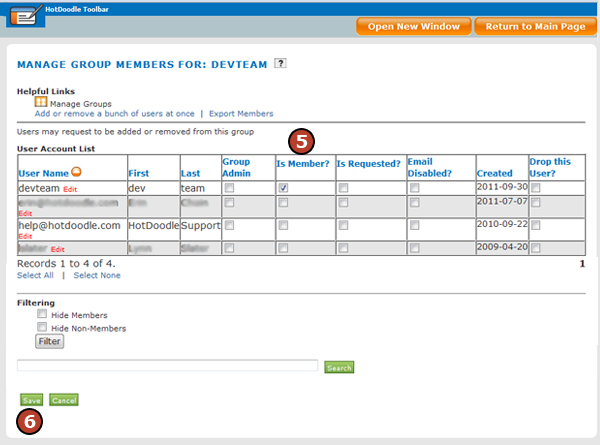 Click the "Manage Members" link next to the group that needs the member removed. 5. 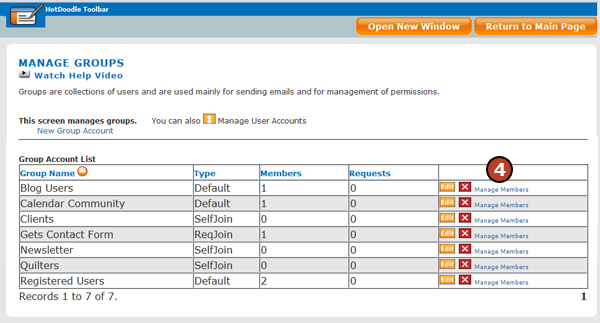 Click to remove the check mark for the user under "Is Member? ".